We are a dalit family and we strongly feel discriminated and marginalized by the department of education under the Administration of Union Territory of Dadra and Nagar Haveli. We are helpless. My husband has flooded your office with requests but it seems that his requests are thrown in the corner. We strongly believe in the constitution of India. This is my STORY which exposes how DALITS are treated in this country. How are they discriminated, marginalized cornered and destroyed by the Government Officers. It seems that a dalit has lost all the constitutional rights, a right to be honest too. The story begins with an interview of Assistant Professor in the subject of English held on 3rd October, 2012 at Secretariat in Silvassa College. (Currently Dr. A.P. J. Abdul Kalam Government College, Dokmardi, Silvassa). The Selection Committee of this Interview was chaired by the Governor of UT of Dadra and Nagar Haveli. Violating all the rules of UGC and Gujarat University, an ineligible candidate was selected. 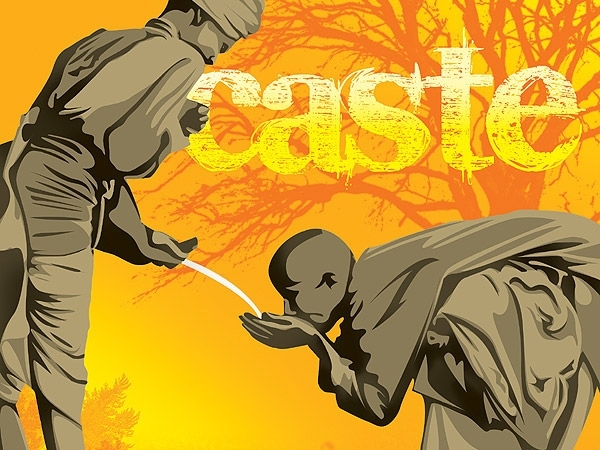 Here starts an Odyssey of discrimination, disappointments display of Injustice to a Dalit. 1. Hoping Justice, my husband had requested to the Principal of the college on 26th October, 2012. BUT HE IS WAITING FOR HIS REPLY AFTER MORE THAN THREE YEARS. 2. Hoping that the Administrator, who is also the Chairman of the Executive Committee and Governing Body of the College, will provide him Justice, Justice, my husband had sent his complaint to the Administrator of DNH 26th October, 2012. BUT HE IS WAITING FOR HIS REPLY AFTER MORE THAN THREE YEARS. 3. On 30th November, 2012, my husband again prayed to the Administrator of DNH for justice. BUT HE IS WAITING FOR HIS REPLY AFTER MORE THAN THREE YEARS. 4. It was a painful days for an honest man. My husband made many representations to all these government officers but none listened to him. When he met the Principal f the college to explain the case, the principal did not listen. Rather he told my husband to go to the court for justice. Thus, he was compelled to knock the doors of the High Court for Justice. How can a poor man afford the expense of the court? BUT AFTER SERVING A LEGAL NOTICE, THESE OFFICERS STROGLY DISCRIMINATED HIM. 5. Earlier he was serving as a Visiting Professor in this college. Now his appointment was not renewed. A fresh advertisement was published and interviews were postponed if he appeared in them. On 17th September, 2013 my husband complained to the principal of the College regarding the repeated postponement of the interview for the post of visiting professor in English. BUT HE IS WAITING FOR HIS REPLY AFTER MORE THAN THREE YEARS. 6. The Minutes of the Interview of Assistant Professor in English held on 2nd July, 2016 are deliberately lost because a Dalit candidate was selected for the Post. In this regard, the Administration has not yet taken legal action against the person who had lost this Government Document. 8. On 15th November, 2014, my husband wrote a letter to the Secretary of Education requesting to set up an inquiry. He sent a copy to the Administrator. BUT HE IS WAITING FOR HIS REPLY AFTER MORE THAN TWO YEARS. 9. On 31ST March, 2015, my husband represented his case to the Administrator. BUT NO ACTION IS TAKEN. 14. On 29th September, 2015 he met to the Director of Education personally and submitted his application. BUT WAITING IS HIS DESTINY BECAUSE HE IS A DALIT IN THIS COUNTRY. 15. On 3rd July, 2015, my husband met the Administrator personally and requested to set up an inquiry. The Administrator assured him to solve the case within 7 days. YET THE CASE IS NOT SOLVED AFTER SEEVEN MONTHS. 16. These officers do not respect the Office Orders of the Department of Personal, New Delhi. Even the Department of Personal (Central Government, New Delhi) too has to send a reminder to them. They also reply after months. They provide some incomplete reply to my husband without setting up an inquiry as requested by my husband and as directed by the Central Government. 17. On 2nd February, 2015, my husband again represented his case to the administrator of DNH. Again he assured in written to examine the matter. Again he promised to peep into the matter within seven days. ANNDD AGAIN MY HUSBAND IS WAITING FOR SOME SILVER LINE. Thus, our story reflects a story of depriving and destroying the academic career of a Dalit. Our Government Offices throws the files of Dalits into the Dustbin. NO REQUEST WORKS. IT IS ALL WAITIG FOR THE GODOT! The story also explores many questions regarding transparency and good governance. Our Prime Minister talks of Digital India but please let our Government Officers may come out of the Iron Age of ancient India. I am shocked to know the tie taken by these officers to examine corruption. Such a practice will certainly encourage the corrupt persons. All in all, the tragedy is for a person who is an honest and happiness for a person who is corrupt.